Spring is right around the corner believe it or not and that means that it is time to start planning your vegetable garden. 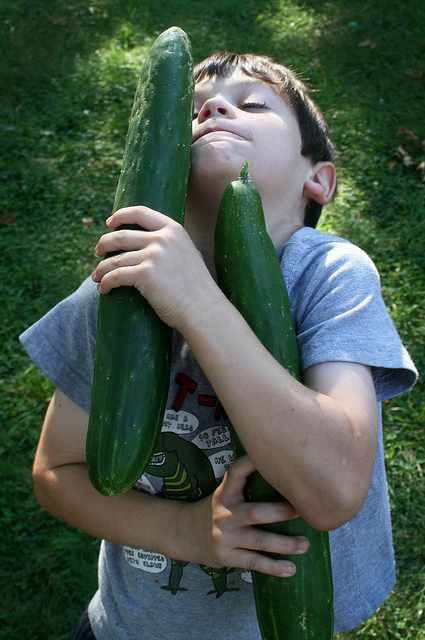 Growing a vegetable garden is a great family activity. Not only does it allow for some family bonding time, it teaches your child about where food comes from. And if your child has been involved in the gardening process they are more likely to eat the vegetables they have grown themselves. 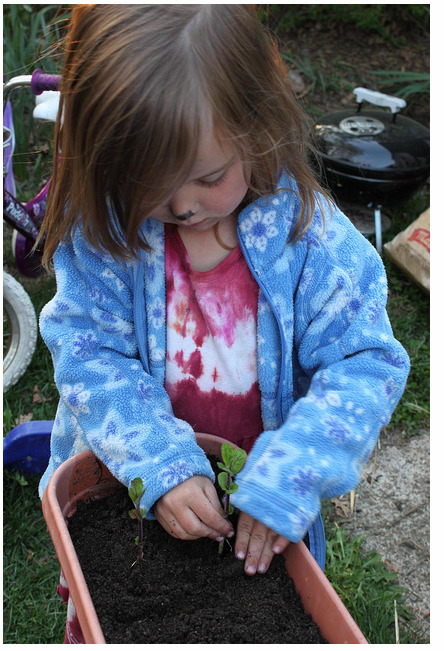 Peak your child’s interest by reading books on gardening together. Some great fun reads are: How Groundhog’s Garden Grew by Lynne Cherry and Muncha, Muncha, Muncha by Candace Fleming. You can also visit local farmer’s markets, pick-your own vegetable farms and community gardens. This will allow your child to talk with the growers themselves. Now let’s get started! Vegetables love the sun so pick a nice sunny location in your yard. If you don’t have a yard, don’t despair, a couple of large containers will work just as well. Prepare your dirt with some good soil amendments/fertilizer that can be found at local nursery or hardware stores. Pick your veggies. Depending on where you live you will either want to start your vegetables from seed or plants. Some good, easy-to-grow, and nutritious choices are tomatoes, peppers, eggplant, zucchini, beans, and if space allows, pumpkins. If you are feeling adventurous, add some herbs to your garden as well. Some great summer choices are basil, chives, oregano, thyme and cilantro. To keep your plants healthy make sure to water regularly and watch out for pesky bugs. You can purchase organic pest sprays, ladybugs and/or praying mantis to help keep pests at bay. Since growing vegetables can take some time, have your child keep a journal of the plants growth, either through words or pictures. This will not only keep your child interested but it will also help you keep track of when your plants should be harvested. All that is left to do now is to sit back and eat your veggies. If your child was not eating vegetables before, I guarantee you they will be eating their vegetables now.